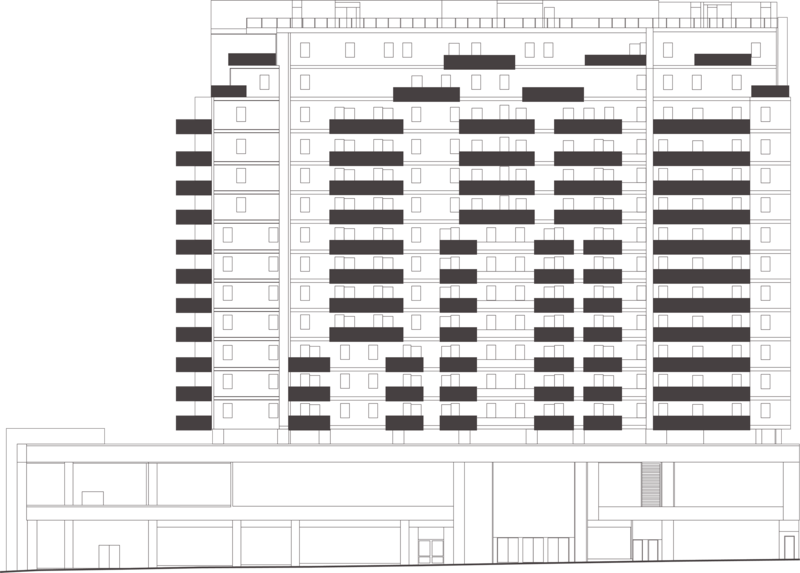 The Tangram Penthouse Collection takes residents to new heights in living. 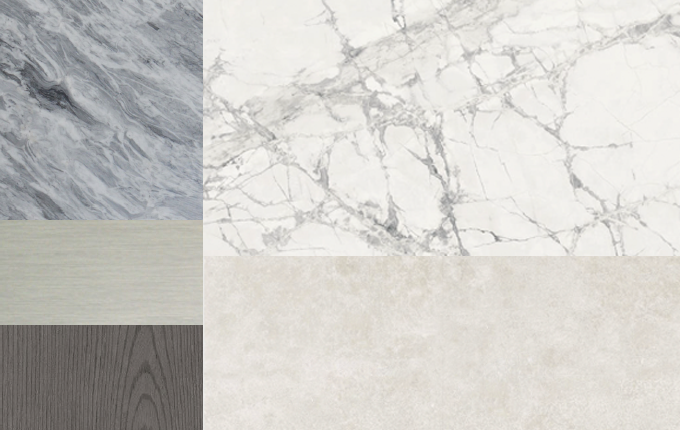 Rich materials complement high-end nickel finishes. Terraces with wet bars compete these exclusive residences with panoramic views of New York. 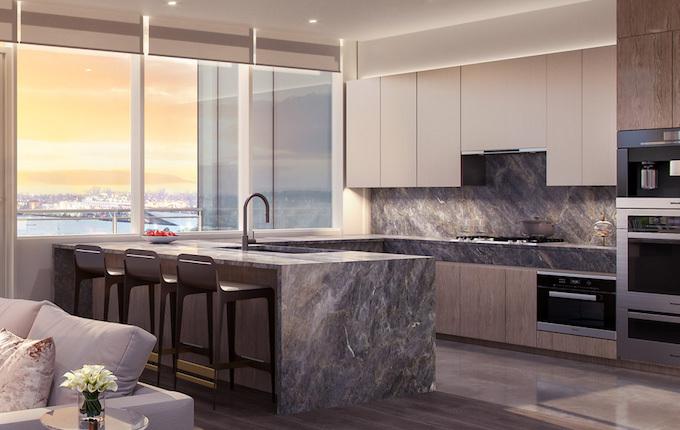 Penthouse residences feature a rich palette of materials and thoughtfully upgraded finishes from luscious cielo quartzite stone to Florim porcelain bathroom wall and floor tiles and antiqued satin pearl black finish plumbing fixtures. Private balconies and terraces equipped with a wet bar provide a perfect retreat to take in panoramic city and garden views for peaceful moments. Doubleheight ceilings and windows in select duplex penthouses embrace the welcoming openness and awe-inspiring views. Select residences feature gas fireplaces and wine coolers. The timeless penthouse kitchen features custom-designed Italian cabinetry finished in antique brushed graphite with built-in undercabinet LED core lighting over elegant quartzite stone countertops. Hand-selected Italian stone countertops and backsplash are accentuated beautifully by custom faucets and stainless steel sinks. German-designed Miele kitchen appliances were chosen for both superior design and performance. Whether for intimate afternoons with family or lively evening entertainment, the kitchen has all the makings to be the center of the home. Bathrooms in penthouse residences boast exclusive details that include Italian porcelain counters and satin pearl black finish plumbing fixtures. In addition to elegant soaking tubs, bathrooms feature a separate glass-enclosed walk-in shower. Each accessory was carefully selected for its understated luxury – the makings of your own personal sanctuary.Lined in premium Florim wall and floor tiles, every master bathroom features double vanities, accented by custom-designed lighting. Penthouse master bedrooms offer both openness and privacy. The bedroom offers the luxuries of ample closet space, a beautifully appointed en-suite bathroom, and wall-to-wall windows offering sweeping views of city or garden. Discreet with a certain subtle elegance, our collection of thirty three penthouse homes features dramatic urban glamour in materials, as well as thoughtfully upgraded finishes throughout. Tangram House South Penthouse collection is slated for occupancy in 2019. Contact us to schedule an appointment and learn about current availability.